LAST WEEK TO PURCHASE YOUR TICKET! 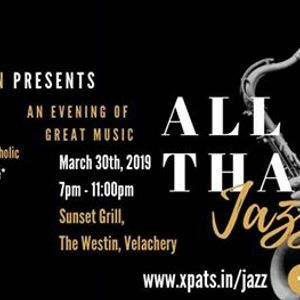 We are holding a Jazz Event on the 30th March at Sunset Grill, The Westin Chennai Velachery. 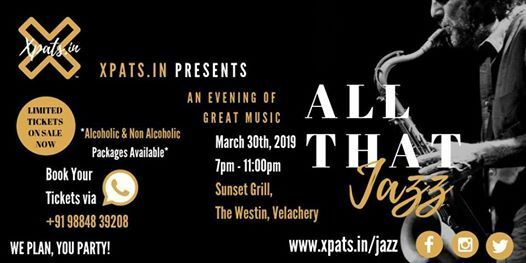 We will be having a live jazz band, some live grilling and bargain drink packages for all you jazz lovers in Chennai.